If your loved one has been diagnosed with multiple sclerosis (MS), you undoubtedly have many questions about care options and quality of life. This can be a frightening diagnosis, with many ramifications for daily routines and interactions. 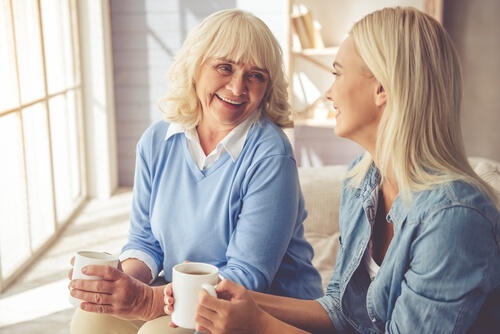 But with the right care plan in place, you will be able to give your family member the support they need to address the challenges of MS.
Let’s look at three essential things you should know about multiple sclerosis care. #1: What Are the Symptoms of Multiple Sclerosis? Relapsing-Remitting MS (RRMS) About 85% of multiple sclerosis patients receive RRMS as a first diagnosis. It is characterized by relapses or flare-ups, when new symptoms may appear. Secondary-Progressive MS (SPMS) With SPMS, symptoms steadily get worse over time. There may or may not be alternating relapses and remissions. This diagnosis is often the next stage for people who have been diagnosed initially with RRMS. Primary-Progressive MS (PPMS) Only about 10% of people with MS have this type. It is characterized by a steady worsening of symptoms, with no periods of remission or relapse. Progressive-Relapsing MS (PRMS) This type is very rare, occurring only in about 5% of MS patients. Patients with PRMS experience a steadily worsening state of the disease from the onset of symptoms, with no periods of remission. Some people may also experience tremors, difficulty swallowing, speech problems and other symptoms as the disease progresses. All of these symptoms have implications for the ability of the individual to continue daily activities and routines. 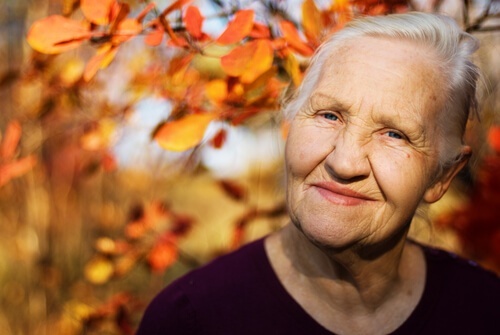 Your loved one may no longer be able to drive or walk, they may need assistance with toileting needs or mobility, and they may experience changes in mood related to the disease itself or to the increasing isolation they feel as a result of inhibited social interactions. #2: How Can You Care for Your Loved One With Multiple Sclerosis? Provide emotional support—MS is a life-altering diagnosis, and your loved one may struggle with adjusting emotionally. Make sure they know they are not alone and that they are free to talk about their thoughts and feelings as they navigate doctors’ visits and changes in their physical abilities. Help with daily routines—MS makes many routine activities painful or difficult. Help your family member look for different, more comfortable ways to perform routine activities like dressing, eating, and managing household tasks. Get help from family and friends—Don’t try to take on all the caregiving responsibility yourself. Caring for someone with MS is a time-consuming and emotionally difficult challenge. Ask for help from other family members and friends, and be sure to take care of your own needs as well. #3: When Is In-Home Multiple Sclerosis Care The Right Choice? Home care gives you the support you need for every stage of multiple sclerosis with a customized care plan based on your loved one’s needs. To learn more about the ways home care can help your family, download our FREE Guide to Home Care.